Lithium was the major mid-tier mover in 2018. Australia has a strong standing in where the lithium market is heading. Despite the scarce mention of this battery mineral among the Australian Securities Exchange’s (ASX) 50 largest mining companies, seven lithium-related companies have slipped into the MT50 group of companies. There has been visible rise in market capitalisation for the seven companies, despite that they are only in the early days of production. Investors could already sniff the direction of Australian mining in the future. The surging trend of battery technology and electric vehicles has lithium crowned as the second biggest contributor to growth in terms of dollar value in the MT50’s total market capitalisation. But Australian lithium production has barely scratched the surface of its potential. Lithium miners Kidman Resources and Altura Mining, for example, have doubled their market capitalisation within just a year. “This new boom is the fruit of the fourth industrial revolution,” PwC national mining leader Chris Dodd tells Australian Mining. In PwC’s 12th ‘Aussie Mine’ report, each of the MT50 companies is recorded with an average market capitalisation of nearly $1.2 billion. In another significant development, all but three MT50 miners experienced an increase in value, pushing the MT50’s market capitalisation up a whopping 28 per cent to $58.7 billion. “One of the things about looking at historic information is, when you bring it all together, and you think seven of the 50 mid-tier miners in Australia are all lithium producers, that’s more than enough to make people stop and think about it,” Dodd continues. 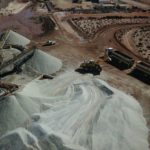 This was achieved when there was only a small supply of lithium that had been produced – an amount that can be counted in the thousands of tonnes against the millions of tonnes of reserves and resources that lay unyielded in Australia. Dodd is confident there will be a much bigger supply of lithium coming on board. “In fact, it’s going to be really, really significant. It has all to do with which deposits are owned by who, now. And that’s all part of the Australian story,” he says. This does not mean that lithium producers don’t face the risks that all other miners grapple with. 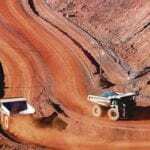 The ‘Aussie Mine’ report shows that operating costs in the mid-tier sector increased by 10 per cent in 2018, despite productivity initiatives introduced by companies two or three years prior. 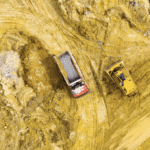 Global forces including oil prices and the US dollar exchange rate have gone against producers in the last 12 months, significantly affecting miners’ cost base. “Perhaps companies took a little too much credit when costs were dropping, because falling costs were equally non-controllable then,” Dodd says. “But we might have called them productivity benefits. And while operating costs all rose for mid-tier coal, copper and gold producers, this wasn’t necessarily tied to an upswing in production. In the absence of a provable benefit of productivity improvement, Dodd highlights the uptake of technology as particularly (and relatively) slow in the mid-tier sector. The benefit of mine digitisation is not immediately reflected in financial terms when looking at technology’s impact on a company’s financial performance, rather than the actual physical investment in the new technology. “This is because you’re not being offered the whole saving in technology,” Dodd says. “Some of that is accrued to the technology creator. Next, mid-tier miners are facing a challenge in attracting new talent, particularly those skilled in artificial intelligence (AI), data analysis and mechatronics in the face of a newer age and digitally aligned workforce. Most graduates are being attracted to technology companies and start-ups rather than traditional industries like mining, Dodd says. Mid-tier miners, while unable to buy talent like their global peers, need to align their organisational culture more closely with the values of graduating millennials and develop mentoring programs that foster high performance and loyalty. “The MT50 are healthy and steaming ahead, but they now need to focus on becoming ‘future fit’ to position themselves for long-term positive growth,” Dodd continues. Technological changes have triggered a new boom in lithium demand in line with the rising wave of smart phones, battery technology and the Internet of Things (IoT). But the same can’t be said about gold. 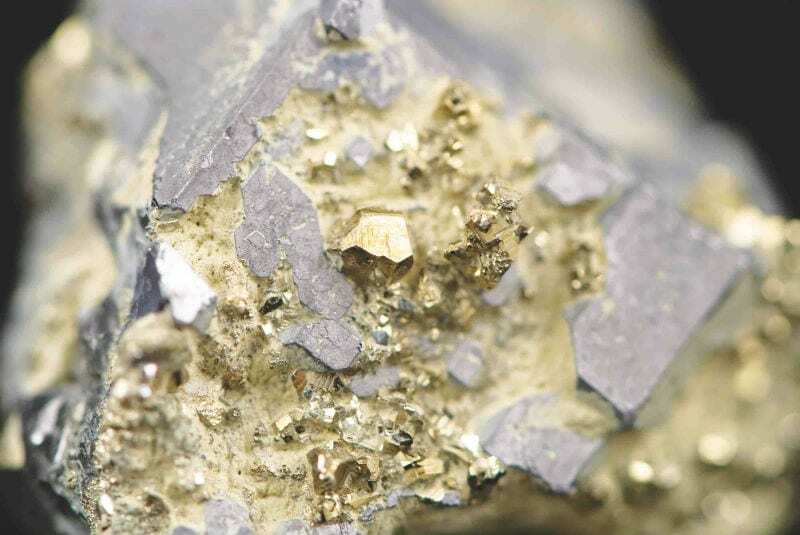 Being a contributor of more than half of the MT50’s revenue in 2018, only a small portion of the overall gold production was accounted to technological changes. To Dodd, the primary property that undoubtedly drives gold is its use as a storer of wealth. This moves favourably during times of global uncertainty. “It would appear that’s absolutely what’s happening at the moment. There is a level of uncertainty with the US–China relation, and some of this global nervousness is affecting gold prices in a positive direction,” Dodd points out. Meanwhile, changing technology has also started to cause rising global demand in graphite and rare earths. 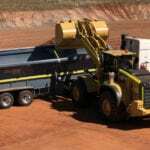 “Whilst we haven’t seen a drop in demand for iron ore, coal, copper and gold, we can definitely see an increase in the demand for what was considered some of the more niche products, and you have to think that will continue,” Dodd says.